At Women’s Bean Project, we provide stepping stones to self-sufficiency through social enterprise. Our social enterprise model creates a tension between the business and the mission that is in turn interesting, challenging and inspiring. Our value proposition is multi-dimensional. We have great food products and a meaningful mission to help women change their lives. Because our mission and business have been intertwined since we were founded, by definition one cannot exist without the other. Even so, it often feels like it would be easier to choose one or the other; i.e., run a great food business or a great human services organization, not both. Women’s Bean Project is an interesting place to work because each day it seems as if we are trying to solve a puzzle. Every day we are figuring out how to make the business work while also fulfilling the mission. We certainly don’t exist to make bean soup mix and all of the other products we sell across the country, yet the sales of our products enable us to exist. Sales provide the necessary funds to pay the women we hire while they are working to change their lives. We hire women to participate in our program because they have barriers to employment. When they walk through our doors they are experiencing multiple of these complex barriers. I’ve learned barriers never happen in isolation. In order for the women to learn new skills, we must ensure we are helping them address these barriers, such as insecure housing, recent and tenuous sobriety and recovery from trauma. We choose to address these challenges because it directly affects the woman’s ability to come to work and complete the program. Other employers may say these issues are none of their business. They may prefer their employees to address their barriers outside of the work day. Instead, we make it our “business” to help the women we hire connect with resources so they can overcome their basic needs challenges. We aim to develop stability in each woman’s life because it gives them the space to come to work every day. It is at work – through work – that we are able to teach skills and influence change. The job gives the women we serve purpose and helps them, through work, build skills they need to affect long-term change in their lives. But there is a reason why the women we hire have experienced chronic unemployment. 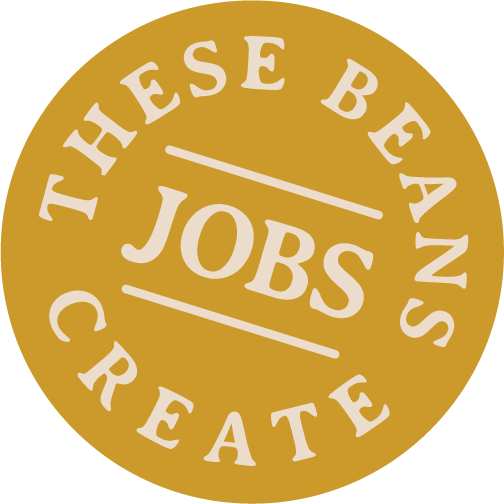 Those challenges don’t go away the moment they begin working at the Bean Project. Their first day is merely the starting point. It marks the beginning of their decision to share their journey with us and allow us to be by their side as a supportive community. And so, we must also give them the space to “work” on themselves. We do so by offering classes on budgeting, planning and organizing and computer skills, to name a few. Through this classroom work, women begin to build back their self-confidence. Though this structure makes for an inefficient business operation, it has proven to be an extremely effective way to fulfill our mission. Decisions we make in our organization are never simple. Each management choice must be weighed against its impact on the entire organization. When we decide to add a program component, we must consider its effect on our ability to fulfill customer orders. Likewise, when our business grows, we must not only consider how many women we need to hire, but also how we will deliver the program services in an impactful way. Therein lies the inherent tension between the business and the mission that social enterprises experience. A couple of years ago, after we had finished our fiscal year, our controller did an analysis. Based on our sales volume from the prior year, she calculated that if we had hired regular, full-time employees, we would have needed 14 workers. Instead, we hired 65 women to work at the Bean Project and participate in the program that year. A traditional business certainly would not have made that decision. But our priority goal is to serve more women better as we grow, so it’s the right direction for us. The tension of the two does not always present a perceived challenge, however. 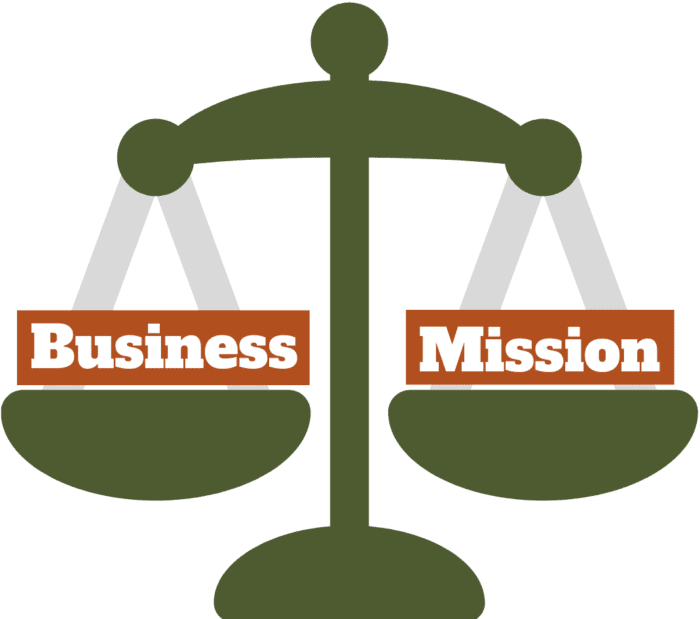 Rather, the relationship between our mission and business can create an opportunity to strengthen the organization. Because we cannot exist without one or the other. For instance, on their own, our products are not glamorous. They are tried and true, good, nourishing products that help the non-chef or non-baker easily prepare a meal or treats in a reliable way. I’m sure the products could stand alone in the marketplace, but what makes them special is the mission. Likewise, without the products our business would not exist and the women we hire would not have a job to provide them an opportunity. No matter which way we turn, the two are inextricably linked. In the end, we find ways to balance the competing demands of running a food manufacturing business with our reason for being – to help women stand tall, find their purpose and break the cycle of poverty through employment. 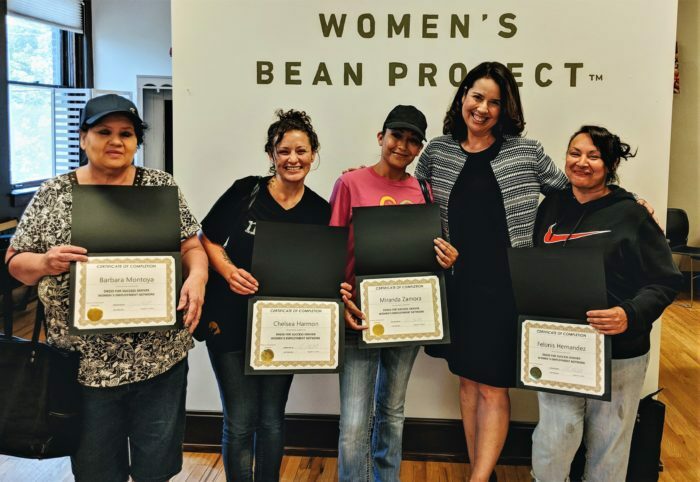 How lucky we are that women decide to invest their futures in Women’s Bean Project, and that our customers give us the opportunity to solve the puzzle each day through the support of their purchases. Professionally it’s the hardest, most worthwhile work I’ve ever done. And I wouldn’t have it any other way. Top right photo in header by Kenzie Bruce Photography.